In this fantasy romance, a teenage girl unwisely falls in love with a handsome vampire. Things get even more complicated for the girl when she also draws the affection of a hunky werewolf. 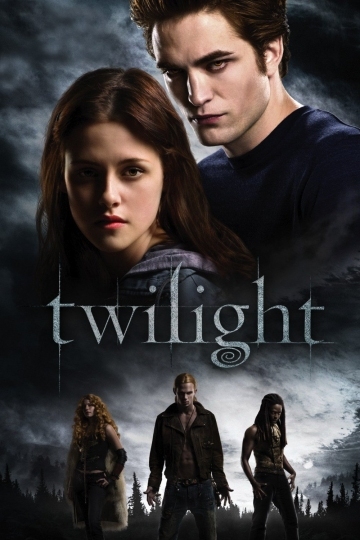 The film is based on a bestselling novel and is the first installment in a hit film franchise. Twilight is currently available to watch and stream, download, buy on demand at Hulu, Amazon, Vudu, Google Play, FandangoNow, iTunes, YouTube VOD online. She's fit, and she's showing off on Instagram. The supernatural series will air on Starz. Will Kristen Stewart Ever Date Men Again? The actress says she's open to trying anything. The 'Twilight' star and her model girlfriend were seen out and about recently. Did Robert Pattison Almost Get Booted from 'Twilight'? The actor says he came very close to getting fired from the huge franchise. The actress announced that she was expecting just last week. The 'Twilight' star makes her directorial debut at the festival. KStew and Stella Maxwell are now sharing a home. The usually reclusive actress went for a stroll in New Orleans. Could this be the real deal?